A sudden craving for foods you’ve never touched before can be one of the weird and wonderful side effects of pregnancy. But one mum-to-be’s craving came out of the blue – and it really takes the cake. A cake of soap, that is. Yep, that’s right – a pregnant British woman has developed a rather strange, and ferocious, appetite for soap. Jess Gayford, 26, says it began when she was about four months pregnant, when she had a “random urge to lick a bar of soap”. “It came out of nowhere. I wanted to lick a bar of Dove soap. I went to buy a bar and started licking it. It sounds disgusting but it’s really nice,” she tells the Sunday Mirror. It progressed to licking liquid soap off her hands when washing them, and now – at eight months pregnant – she gets through two bottles a week. “I get this urge that comes over me, this taste in my mouth, like your body needs it to repress your cravings,” she says. Her doctor and midwife have told her the unusual hankering won’t harm her unborn daughter. She didn’t suffer any whacky cravings with her first pregnancy – just baked beans and cheese. “After I’ve given birth I’m hoping I’ll go back to normal and I’ll stop having any soap cravings and eating soap,” she says. 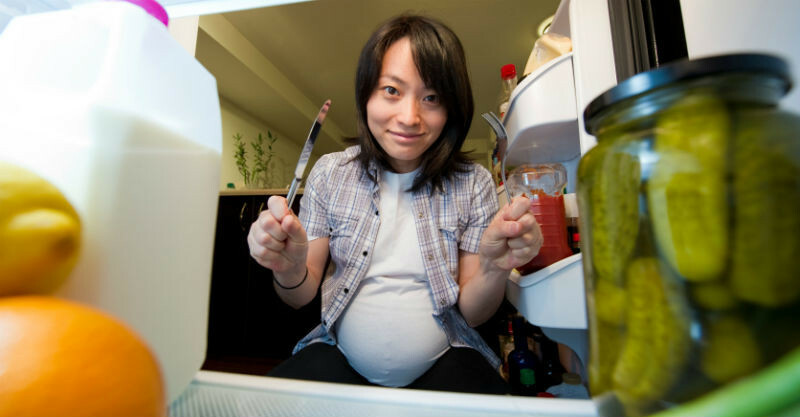 Many women report cravings in pregnancy – from pickles to ice cream, and everything in between. But some experience pica, an intense need to eat non-food items such as soil, clay, ice, ashes and paint chips. According to BabyCenter, it may be caused by a combination of biochemical, psychological and cultural factors.